Backed by the Carpenter Ants of Charleston WVa and other friends, recorded by Don Dixon, this is an album to touch your heart, tap your toes, and make you smile. I hope you'll share it with your friends too. 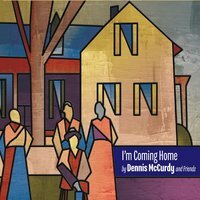 The music of Dennis McCurdy is rooted in the old timey and classic country he heard on the radio during noon dinners while working with his grandparents on their farm. Truly an Americana artist you will find a wide range of songs; some touching your heart, others tickling you sense of humor. Listen closely and you will find both. Many of his songs are highly visual, so sit back and watch the movie as the song unfolds and listen to the lyrical poetry used to tell the stories. Mostly, he hopes that he touches you as he has been touched by so many wonderful people and experiences in this life journey.